In the aftermath of the 1960s riots that ravaged the community, a group of African American investors from North Omaha rallied to invest in technology, and for many, to invest in their home neighborhood. Pulling off a coup, for almost a decade, North Omaha was home to Nebraska’s first radio station and a former bastion of white middle class American culture. Except now it was the home of the city’s Black pride, empowerment and culture. A 1975 newspaper clipping from the Omaha Star highlighting a marathon at KOWH led by B.L.A.C. and the radio station. In 1922, WAAW became the first radio station in Nebraska. In 1939, the Omaha World-Herald bought it and the station took the letters KOWH. Playing mostly country, in 1949, Omaha’s famous Storz family bought the station. Robert Storz owned it, while his son Todd Storz was the general manager. In that position, the station pioneered the Top 40 / pop radio format for Omaha. In 1964, after Robert and Todd Storz died, the station was sold to the University of Nebraska – Omaha to become Nebraska’s first college radio station. Then in 1970, a group of African American investors teamed up to buy KOWH. A 1970 JET magazine article reported that the company, called Reconciliation, Inc., had 21 Black investors, many with local roots, including NBA star Bob Gibson, NFL star Gayle Sayers, and NBA star Bob Boozer, along with a few white investors. The station played jazz, R&B and soul music, and reportedly reached 70,000 African Americans in Nebraska, Iowa and Missouri. Showing its ties with real-time community leaders, Charles B. Washington was integral in the founding of the station, too. Buying the station was a coup for Omaha’s African American community. As Nebraska’s first radio station, it featured country, folk, western and other music popular with white people. After World War II, it literally profited off middle class white culture, which relies on conformity and familiarity, by churning out pop music as the city’s first Top 40 station. Then, as if it couldn’t get any whiter, KOWH became a college radio station at UNO. In its early years, college radio was notorious for playing obscure, innovative and almost confrontational music, including punk and new wave, alternative rock, and indie rock. Could it get any more white? Bought with support from the United Methodist Community Center Wesley House, with the executive director of that organization, Rodney Wead, leading the charge. The Ford Foundation underwrote the station for several years, and the ownership team chipped in money to keep the station afloat. With its strong team of investors and important backing, early on the station seemed well-positioned for success. However, even though it looked like a business, KOWH generally ran like a community service. The first station manager was Robert Nichols, who moved to Omaha from South Carolina. A Minnesota record producer named Jack Harris was hired to become the first program director at KOWH in 1970. Years later, Jack recalled Bob Gibson offering him the job to convert the station from what it had be and to run it as a soul station. This move marked the end of Harris’s innovative Minneapolis-based music label, Black and Proud Records. However, his initial leadership was a boon to North Omaha. With few people of color hired to work anywhere else in Omaha’s mainstream media, KOWH provided cultural connections for the community that few other media sources were capable of offering. Jack ensured quality with every broadcast. On-air personalities at KOWH in the 1970s included Program Director Don Davis; Music Director Erven McSwain; Production Manager Buddy King; Community Service Director Herman Pearson; Gospel Director Ed Mims; DJ The Magnificent One; and Traffic Director Beverly Blakely. According to native North Omahan Allice Brown, DJ McSwain was substitute teacher in her class at Kellom Elementary. At the age of 22, Kathy Hughes began her career in 1969 at KOWH. Afterwards, she built a company called Radio One, and today is an international powerhouse leader in the media industry. The morning started with a jazz program, and went pop afterwards. In the evenings, there was soul music and more. The station also had a Black community director, focused on sharing news for the city’s African American population. In the late 70s, it was still adding new jazz programming under the leadership of German Womack, the program manager at that point. Radio programming including music, news and community events for Omaha’s Black community had never been done before. KOWH was the first of its kind, and some argue that even today there has still never been another radio station in Omaha that played music primarily recorded by African Americans. In 1979, KOWH was sold from underneath the staff to a country station. Given six months to raise the money to match the country station’s offer, the community couldn’t meet the demand and the station was sold. Gibson and his partners sold the stations to RadiOmaha. “As the principal investor in KOWH, I had been operating at a personal liability that was eventually too much to handle,” Gibson wrote. Those nine years were vital for North Omaha. The community’s fabric was torn up white flight in the late 1950s and early 1960s, then scarred by the riots in the 1960s There were no community leaders strong enough to keep it together. KOWH was essential because it served as the communication lifeline for North Omaha. 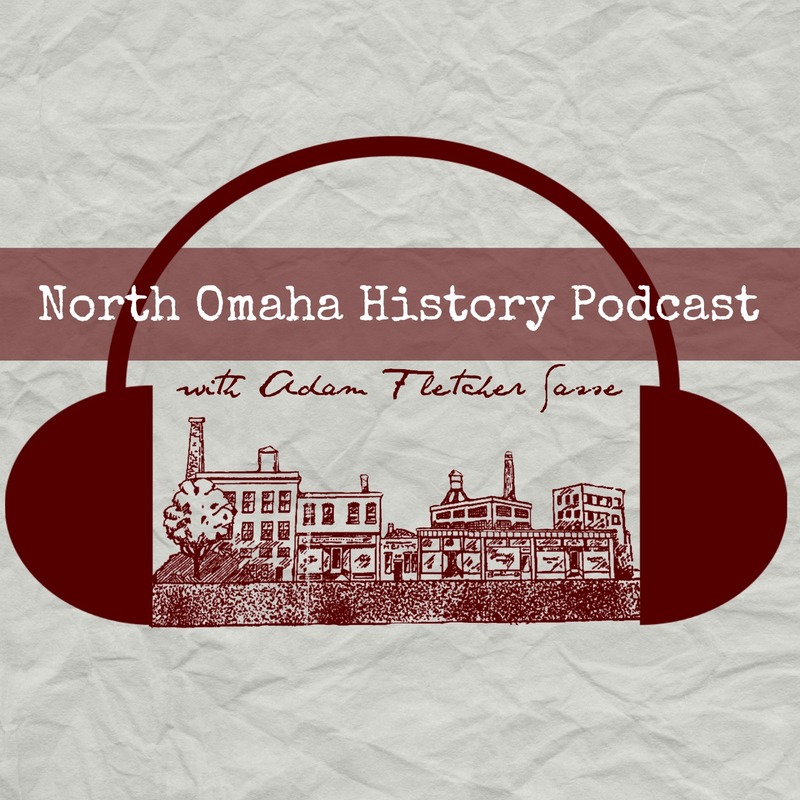 Coupled with the destruction of 2,000+ houses for the construction of the North Freeway and the aftermath of the riots of the 1960s, the loss of the station was nearly a mortal blow for North Omaha. In the 35+ years since the loss of KOWH, no radio station has been as relevant or meaningful. Several have tried in a variety of ways, but today North Omaha is rudderless in this area. With Don Davis as Program Director, in 1972, other personalities at North Omaha’s KOWH included Erven McSwain, Buddy King, Herman Pearson, Ed Mims, The Magnificent One, and Beverly Blakely.